Hi everyone! Do you follow the designers for MODA in their blogs? If you do, then you probably saw at least one or two talk about the MODA LOVE blog tour. Click here for the MODA blog post. It is being sponsored by MODA obviously, and they have published a free pattern that can be sized using all the popular precuts… layer cake, charms and mini charms. Three different sizes, same layout. Ever since I had made my Swoon quilt, I had always wanted to sit down and do the math to come up with the best ‘nested’ version of this quilt. The MODA LOVE pattern is very, very similar to Swoon and I am taking this opportunity to make that bucket list quilt now. Or at least start it. The other bucket list item I had was to make a quilt from my precut collections by American Jane with a black background. That was solely inspired by a quilt made by Ms Thelma Cupcake last year during the Another Year of Schnibbles sew along. See her quilt here – stunning! Part of my American Jane stash – ready and waiting! My plan is to make all three sizes of the MODA LOVE pattern, but nest each one inside the other. Can you picture it?? I can’t wait to see how it comes out. I started on the smallest version last night and got it put together in a few hours. However, it was so very late when I finished that I screwed up with my calculations of the extra black border surround that I cut them too narrow. That is why I have the extra red/white stripe borders. I needed this block to be unfinished at 16.5″ square. I’m pretty sure I won’t be happy with this and will replace the outer borders later with the right size borders in the same black print fabric. I really love how this looks – it is just as great as I hoped. The background I’m using here is from her Ducks in a Row collection. I think I may have to go search out for more of this yardage – I only had a fat quarter to spare which was perfect for this size, but I can steal from the layer cake too. Anyone else out there putting together this pattern? 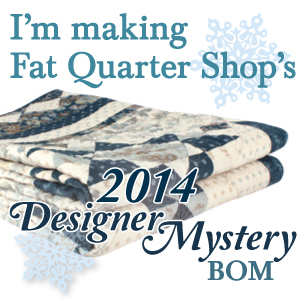 The layer cake version makes a bed size quilt easily and it is so fast to put together! Thanks for stopping by – I have to run and host my daughters 6th birthday party today. Maybe I can get back to this project before the night is over. All my best for a wonderful, relaxing weekend! Thank you! My husband has claimed that this quilt is for him. I’ll be adding some interesting border elements to stretch it out to about 100×100. Stay tuned! Your block is gorgeous Jennifer! Thank you Meredith! I love your steam punk blocks that I see on your blog lately too. Very colorful and perfect! I haven’t tried the pattern, but I think you’ve inspired me too. I like the look of the design, and appreciate it’s similarity to Swoon, which I have made.